Isla Canela is a unique development on the Spanish Algarve. It is a resort suitable for relaxing holidays. We are situated amongst bird sanctuaries and breathtaking unspoilt beaches. 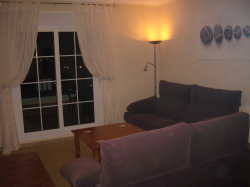 The apartment is situated in the Marina overlooking the beach. There are shops, bars and restaurants within two minutes walk. 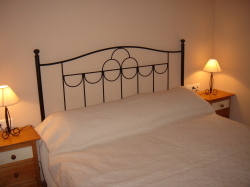 The apartment is located in a totally private complex with electric security gates. For those with a car there is a dedicated car parking space. Within the complex there is a private pool with sunbeds. The Apartment is on the second floor and has two bedrooms, fully equipped kitchen, comfortable lounge / dining area, two bathrooms and a utility room. The kitchen is equipped with a fridge freezer, oven, microwave, coffee maker, kettle, toaster, washing machine etc In the lounge there are two sofas, table lamp, TV with Sky Satellite, DVD Player and CD music system. The Lounge has a Sofa Bed allowing six people to sleep comfortably. Also included is a travel cot and steriliser for young babies.